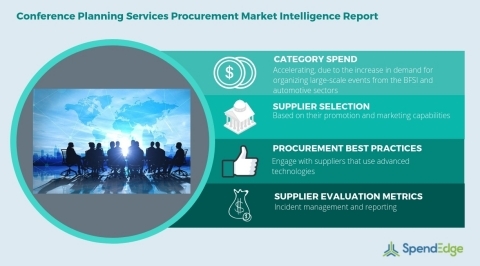 LONDON--(BUSINESS WIRE)--SpendEdge, a global procurement market intelligence firm, has announced the release of their Global Conference Planning Services Category - Procurement Market Intelligence Report. “Buyers are advised to partner with service providers that use technologies, such as SMMPs and holograms. Usage of such technologies will aid buyers in tracking their expenditure and save travel costs,” says SpendEdge procurement expert Tridib Bora.